Claire Radel is a 19-year-old IN/Nashville based BMI singer/songwriter, and NSAI member. 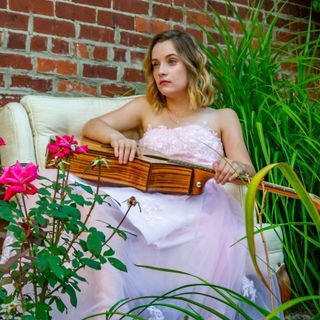 In the last two years, Claire has worked with two-time Grammy winner Chad Evans, was nominated for an IHeart Radio WOBA award, and is apart of 102.5 NASH FM's artist group. Claire performs acoustically, in Indiana and Nashville. She has played well-known venues, and shows such as The Bluebird Cafe (Nashville, TN), Commodre Grille (Nashville, TN), Belcourt Taps (Nashville, TN), Two Old Hippies ... See More (Nashville, TN), Bobby's Idle Hour (Nashville, TN), Carmel Christkindlmarkt (Carmel, Indiana), Indy 500 Marathon (Indianapolis, IN), RhumFest (Kokomo. IN), Strawberry Fest (Kokomo, IN), Indiana University's Take Back the Night Fundraiser for Domestic Violence (Kokomo, IN), Hawgin' the Block (Kokomo, IN), Memphis Farmer's Market (Memphis, TN), South Main Sounds (Memphis, TN), Speckled T's with 90 Degrees West (Slidell, Louisiana), and Neutral Ground Coffeehouse (New Orleans, Louisiana). Claire has opened up for artists such as, American Idol winner, David Cook (RhumFest, IN 2015), Shiny Penny (RhumFest, IN 2016), and the Jason Skaggs band (Veterans Campground, IN 2018).